Cozy was opened in summer 2003. 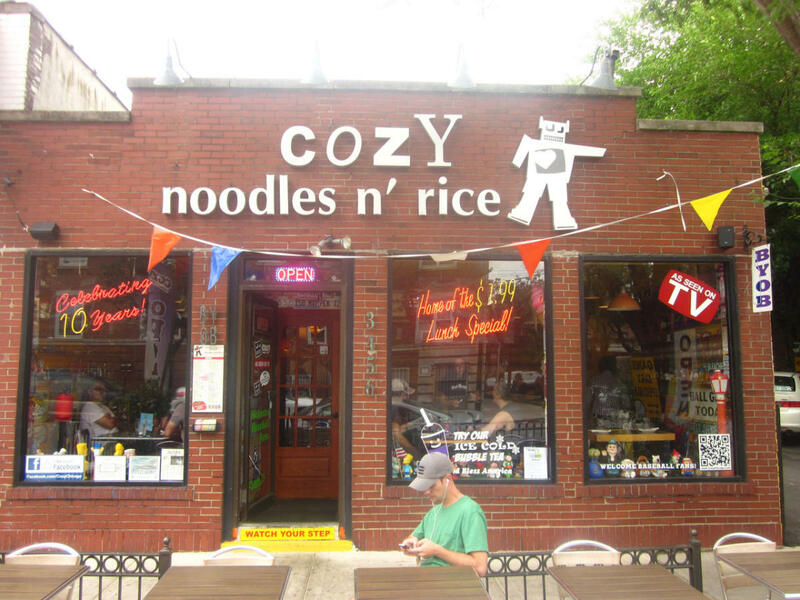 Cozy is a Thai restaurant that is simply yet uniquely decorated. Blended using a combination of both Thai and American cultures, the restaurant's atmosphere is different from your usual traditional Thai restaurant. Tee M., Designer and co-owner of the restaurant, "feels that other than having food that is delicious, the atmosphere is very important and must be consistent with today's modern times." Beside of having a pleasantly decorated interior, this restaurant provides you with warm and friendly service that makes you feel right at home.